I enjoy traveling on the cheap, being a dirty backpacker and grunging through local life and public systems abroad. South east Asia has the appeal of giving cheap luxury, offering massages and all sorts of spa treatments for the price of a Starbucks coffee. 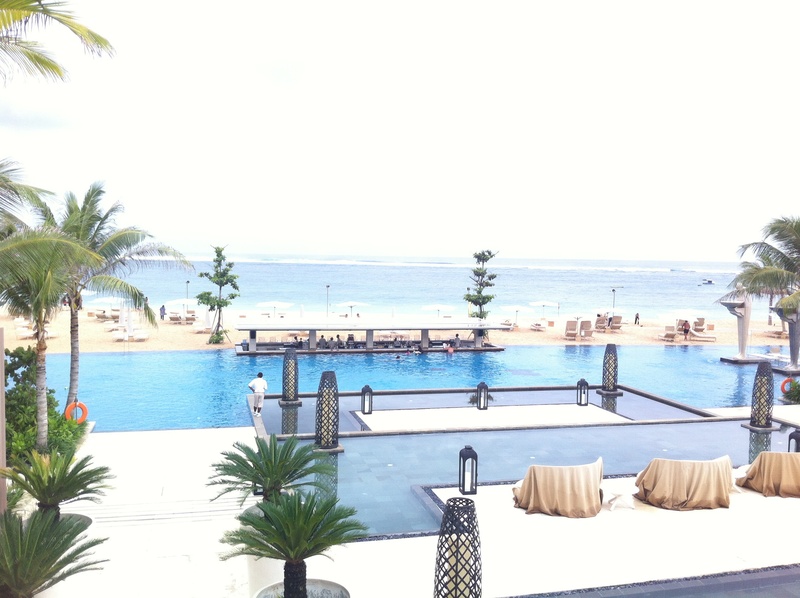 Then there’s Bali, a place where luxury exists in extreme excess and the prices you pay can be just as extreme. I knew Bali was some kind of resort heaven, but it’s also the playground of teenage Australians looking for magic mushrooms and hand-painted manicures. It was a crowded, busy city, nothing like the laid back island I expected. Most of the coast and beaches are private property, so traveling around Bali leaves you winding through traffic, buildings and forests. 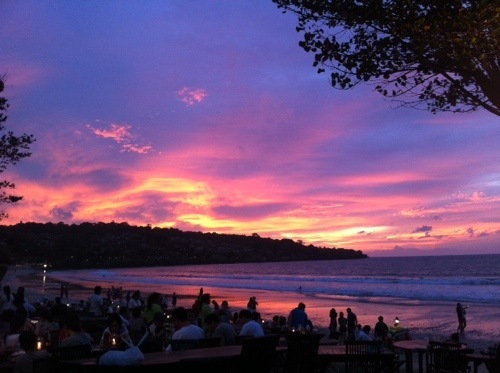 But you won’t be denied the post-card picture of Bali if you check yourself into one of those exclusive resorts, each the size of a small city, with nearly as many employees as guests and measured by various numbers of stars and diamonds. Apparently there’s a 7 star hotel (isn’t it only a scale of 1-5?) and a 5 diamond hotel, but I couldn’t tell the difference between Mulia (5 diamond) and Grand Nikko (5 star). Both were incredibly wonderful, and the surrounding gardens and sandy beaches spacious enough to hold a zoo and multiple golf courses. We also stayed at the chain hotel Mercure, which I’ve seen all over Europe before but never pictured it in the Bali resort light. It had a pool on the 4th floor, it’s horizon ending against the sunsetting seaside, and the continental breakfast was more like an international buffet. Me and my mom tried 3 different types of massages, a Balinese, a Javanese, and another one whose name I can’t recall but it involved 2 hours of rubbing and scrubbing that left me one shade lighter from all the dead skin I shed. The Balinese was my favorite – a massage table sitting in a glass house with the same vantage point as the 4th floor pool, and the aromatherapy coming from a pot of colorful flowers resting below me through the face-hole. The Javanese massage started with the petite Indonesian woman walking on my back, stepping on me to snap my spine and then digging her pokey little fingers into all the sore and stiff spots on my body. It’s funny the money we pay for pain we think is pleasure.